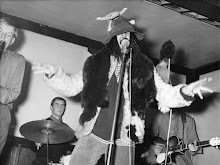 SCREAMING LORD SUTCH's SAVAGES: Wild Bob Burgos on his own words, for a fistful of drumbeats! Wild Bob Burgos on his own words, for a fistful of drumbeats! Wild Bob Burgos is one of the most influential rock drummers of those last 4 decades, playing with highly accomplished Rock outfits such as 'Matchbox','The Dynamite Band', 'The Cruisers', 'Dave Travis Band', and 'The Houserockers'. 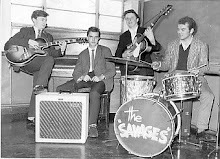 He was the Drummer of The Savages for more than 23 years, since 1979. He backed Screaming Lord Sutch for more than two decades, between 1979 and 1993: with The Savages of course, but also 'Shotgun', 'Blackcat', The Freddie Fingers Lee band and 'The Helsinski Savages' ect. His powerful sound was an integral part of Screaming Lord Sutch's shows. His solid hard driving beat was the heartbeat of The Savages. His spirited drumming, rooted in Rock’n’Roll, provided the energy that galvanised The Savages into action during all those decades. It gave the band not only a powerful kick but also a solid sense of purpose, unity and cohesion. Wild Bob Burgos first met up with 'Screaming Lord Sutch' back in 1976, when on tour with Matchbox on the same bill as David. 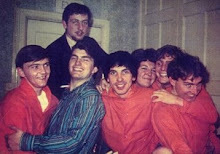 He first joined his band 'The Savages' in 1979, at 'The Top Rank Suite' ballroom, Plymouth. 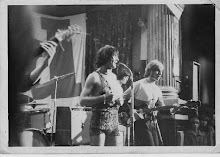 He then recorded "Midnight Man", "Thumpin' Drum" and "Scream And Run" alongwith his pals from South London revival Rock’n’Roll band 'Shotgun', guitarist Iain Terry and bass player Rob Murly, supplemented by keyboardist Matthew Fisher (of Procol Harum), and by Saxophonists Kit Packham and Pete Thomas. Those 3 tracks were released 20 years later on of one of 'Screaming Lord Sutch' earliest C.D. releases, for Raucous records. 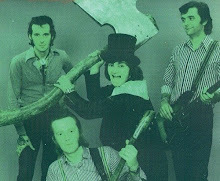 Remember the sleeve where Dave Sutch is holding a huge axe. Wild Bob Burgos also recorded on 'Screaming Lord Sutch' 4th album,"ROCK & HORROR", released in 1982, and on the E.P. 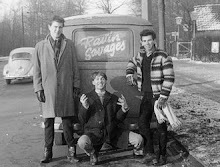 featuring 'The Helsinski Savages', recorded in Finland, 6 years later. 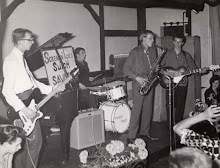 In between gigs Wild Bob was also drumming with various 50s and 60s singers including Heinz and Buddy Knox. While he was drummer for The Dave Travis Band, in fall of 1982, he had the opportunity to back American pioneer Janis Martin at the Rock festival held at Ladbroke's, Perran Sands in Cornwall, England. She requested him back her 3 years later at the Weymouth Festival. "I personally had the honor of meeting Wild Bob and having his excellent backing in October of 1982 at the rock festival held at Ladbroke's, Perran Sands in Cornwall, England. An artist is only as good as the band that backs them and when I heard that SOLID, HARD-DRIVING beat behind me on stage, I felt like I had died and gone to heaven to have the privilege of being backed by so much raw talent coupled with excellent musicians that make up the group, "DAVE TRAVIS AND HIS BAD RIVER BAND". "When I appeared at the Weymouth Festival in October 1985, I requested Wild Bob back me on several songs and again, he came through for me like the champion that he is". 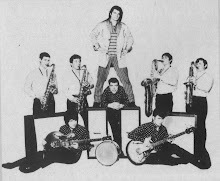 Wild Bob Burgos also teamed up with former Savages pianist Freddie "Fingers" Lee, then with Blackcat for many years. In 1989, he reunited with Graham Fenton in his new version of Matchbox. He now fronted his own band 'The Houserockers', breaking the house down! 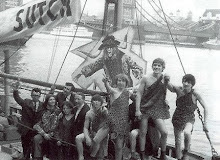 Now let's read Wild Bob's recollection about his background, his powerful drum playing and his unforgettable days with Screaming Lord Sutch and The Savages. Wild Bob's really got Rhythm in his blood! "I am self taught, but I had some great advice when I first started playing from an old friend who used to play drums,....I've always loved Rhythms,...I grew up with music all around me,...My Father was Spanish and there was always music in the house,...So I guess this is where it all started." "I first met up with David ('Screaming Lord Sutch') back in 1976,..I was playing drums with the band 'Matchbox' on the same bill as David, and we soon became good friends. He asked me to join his band 'The Savages' as his drummer was leaving,...But it wasnt until 1979 that I played my first gig with him. My first gig with Screaming Lord Sutch was back in 1979, at a ball room in England called 'The Top Rank Suite' Plymouth!! 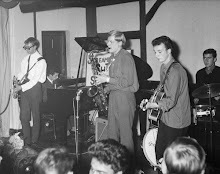 I have played with 'Carlo Little' in a drumming duet with 'Dave Sutch and The Savages' in London back in 1983,...We often used to meet up back in those days, and became friends throughout the Savages years. The 'Rock and Horror' album sold very well, and most of us went out on the road with Dave until the late 1980's. "Many players came and went in those days, cause we were all in several bands at the same time and it was very hard to play with one band all the time,....We all had to make a living,...so playing with lots of bands was the best way to do it." "The bands I was playing with before I joined 'The Savages' were Shotgun, Matchbox and The Freddie Fingers Lee band. I have also worked with 'Freddie Finges Lee' for more than 16 years. 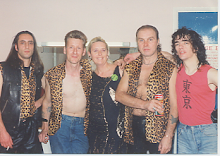 I was also a member of the 'Wild Angels' and many other bands during this time with The Savages, and touring with Chuck Berry and other American Rockers when I wasnt touring with David. Regarding my drum playing,....I just play what I feel is right for the song. I know many styles of drumming cause I used to be a drum tutor many years ago. I believe that if you love something enough,...you have to give it your best shot, otherwise there is no point in doing it in the first place,...I love playing rhythms, and I love playing the drums!! My heart and soul are put into all that I play and sing, and I feel every note, beat and chord when I am performing cause i'm real gone when it all kicks off,....Its a great feeling. My favourite drums has to be 'Ludwig',...and 'Zildjian' cymbals,....ive always used them, and I always will." 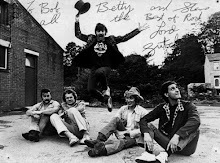 Odd how things go in Rock'n'Roll..Back in the 1990's Dave Sutch held the Monster Raving Loony Party annual conference in The Golden Lion at Ashburton, South Devon.The band that my wife Wendy & I were in at the time was Legal Tender and we were invited to play at the conference. 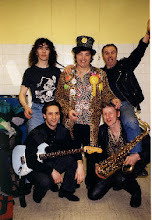 Bob Burgos was not with Dave at the time and we ended up being Screaming Lord Sutch;s backing band on quite a few occasions.Naturally we knew of Bob as his reputation had gone before him.Here we are several years later and Wendy & I (Pete Jamieson) have a 60's cover band called The Wendellas. Our drummer (Graham 'Radar' Frampton is off with a back problem this weekend (21/03/2014) and we have the famous Wild Bob Burgos standing in for us on drums ! Three former 'Savages' reunited as it were.We both feel very humbled and honoured to have Bob sitting in with us..He really is 'The Best'.